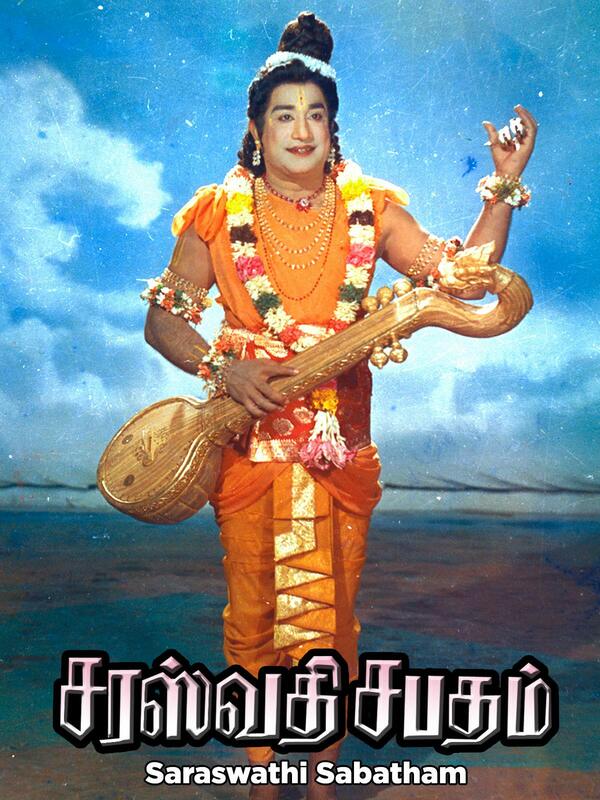 Sivaji plays duel role as Sage Naradar and Dumb Vidyapathi in this film. The movie is about the confrontation between three Goddesses, namely, the Goddess Saraswathi (Savithri), Goddess Lakshmi (Devika) and Goddess Parvathi (Padmini) as to who is superior. Their powers enhance knowledge, wealth and courage respectively to the human beings of the earth.